If the issue is PRICE, DELIVERY, QUALITY or SERVICE, we have a variety of tools in our toolbox to help you succeed. PRICE. The pressure is on everywhere to do more and more with less and less. Smaller budgets, less time, fewer people to do the work. Let C&B Equipment provide real price competition for OEM’s — especially those that have been bought and sold a few times, and are constantly raising prices, stretching lead times and offering poor customer service. We offer directly-interchangeable replacement pump parts, running gear and even completely interchangeable pumps direct from the factory. 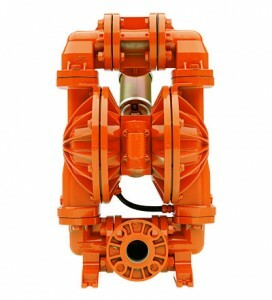 We can rebuild your pumps or we can provide lower cost parts directly to you if you do your own repairs. And, if you have someone else repair your pumps, we can supply the parts directly to them if you prefer. DELIVERY. We frequently slash long lead-times compared to what OEMs offer for replacement pump parts, running gear and even complete pumps. No matter who rebuilds your pumps, faster delivery of parts, running gear and replacement pumps, save time, money and stress. Our ABBA parts are cast and machined in North America. CUSTOMER SERVICE. Our entire staff at C&B Equipment is here to serve. This shines through in everything we do from response time to standing behind the products we sell. Sure, we understand that only time will tell if this is what you will experience. We just look forward to building the relationship with you one interaction at a time. Our team at C&B will work closely with you to find out why things aren’t working the way you want. We can provide superior reverse engineering, as well as design modifications that improve the functionality and performance of standard OEM pumps. We may be modern with our technology, but we are very old-fashioned in our behavior. The “win” we are after is not the sale, it’s the “win-win” of a sale where you, the end-user, is completely satisfied with the outcome.